The modern British office has evolved from what was once strictly a place of business, into a holistic workspace (and, in some cases, living space), designed to promote creativity, productivity and happiness amongst staff. An important part of this progression towards pastoral care of the workforce has been the rapid rise in workplace shower facilities. Shower facilities enable employees to make their morning commute by bicycle or running; and allow the lunchtime hour to be used for exercise. The growing prominence of office shower facilities mirrors the emphasis that millennial workers put on healthy living and establishing a good work-life balance. 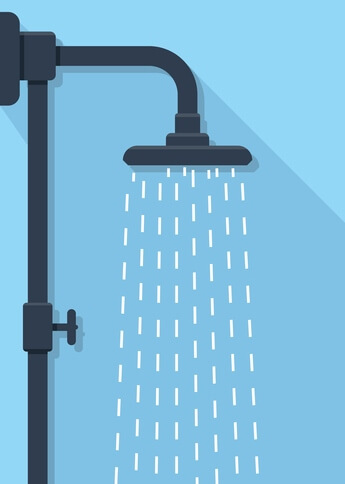 While the increase of showers in workplaces around the UK is something anyone who has worked in a city will anecdotally be familiar with, never before has data explicitly proving this phenomenon been released. Orbital Systems is a Swedish company that creates NASA-certified ecological showers which clean, filter, and recirculate water in a closed loop, reducing water and energy usage by up to 90% and 80% respectively. The following report, created in partnership with industry-leaders, office specialists, and research groups, contains unique, new data and expert comment illustrating the importance of showers to a young modern workforce. The report demonstrates how employers could be left behind if they are slow to embrace this new demand. Newly-generated data from Orbital Systems has revealed that 21% of job-seeking millennials consider the presence of shower facilities to be a factor in their decision to take a job with a particular company. The statistical results from a survey conducted in September 2017 of over 2,000 18-to-24-year-olds also showed that for 10% of millennials, shower facilities will ‘definitely’ influence their decision to accept a job. This illustrates the striking proportion of young workers who put significant value in shower facilities when it comes to picking an employer.